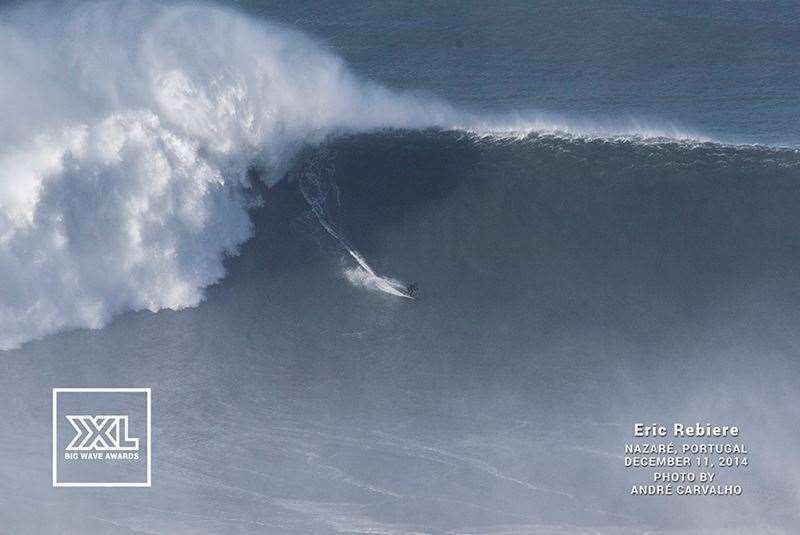 So just how big was Nazare on Thursday? The biggest Nazaré ever ridden? Maybe. “So it was another big day at Nazaré,” humdrums the UK’s Andrew Cotton to Tracks. “The swell was north, and we are working out that direction makes them more powerful, they don’t tend to be as steep. So there are these these really dangerous waves, that don’t really break, that are trying to kill you,” he laughs. 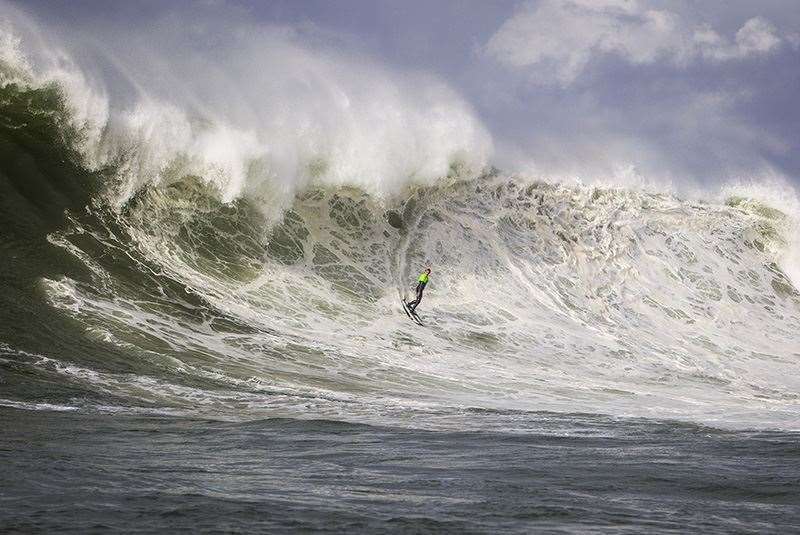 Cotton was at Nazaré after failing to make the invite list at the Punta Galea Challenge. It seemed to be a good, if forced, choice, with the Big Wave World Tour event dogged by onshore winds and a lumpy, disjointed swell. And while it was kinda fun watching grown men being mowed down by 20 feet close-out sets, the waves themselves that were burgering down into the Bilbao harbour didn’t exactly get the testicles tingling. 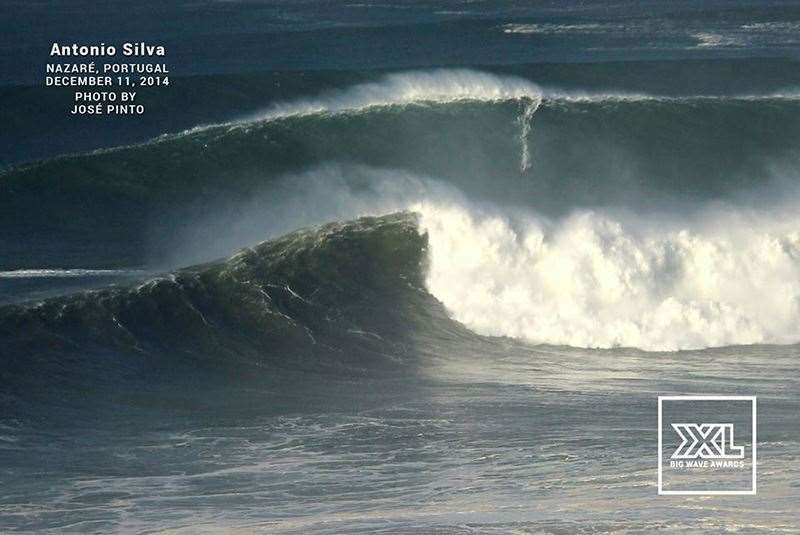 With both Jaws and Nazaré firing, it was hard to fathom how this Basque wave made the grade, although to be fair, the charts did surprisingly deteriorate rapidly about 12 hours after the irreversible green light was given. There were no such problems at Nazaré however. The morning of Dec 11 saw the buoys to the north of the break reading 41 feet at 20 seconds. To these whoppercocking numbers you can add the effect of the Nazaré Canyon. This is the biggest underwater ravine in Europe, a 200 km long and 5000 meters deep a ocean floor scar that run east-west and whose headboard is less than kilometre from the coast at Nazaré. The effect is to channel these swells straight at Nazaré, and then have them rear up like water mountain cobra’s on the beach. Oh and the winds were a perfect offshore from the north-east. The result of all this was a pretty monstrous swell with a solid crew on hand to have a crack. 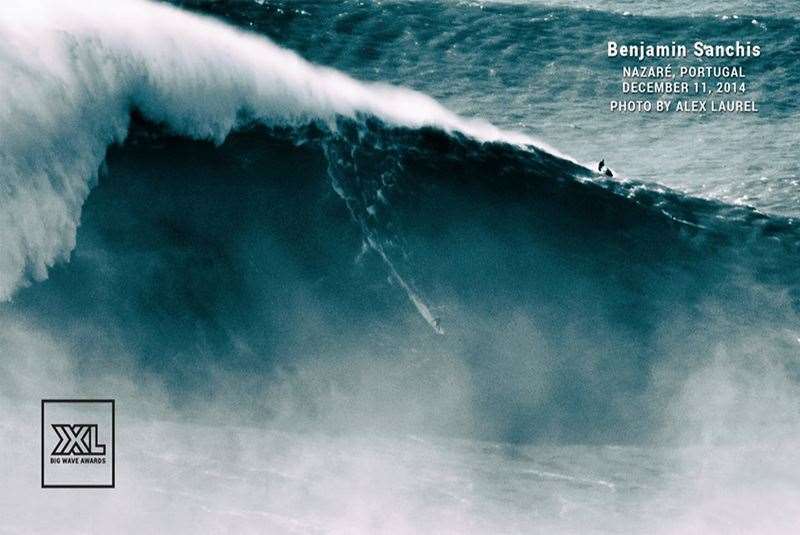 Regulars like Garrett McNamara, Andrew Cotton, Sebastian Stuednter, Huge Vao and Tom Butler were joined by Benjamin Sanchis and Eric Rebiere. Ross Clarke-Jones also made a special guest appearance, however his session was cut short after one wave, when his ski broke down. Try and put a number on this beast of Sanchos. The right number seems impossible to call. Nazaré may be a burger, but its the the biggest goddamn burger in the surfing world. And on December 11, it may have been ridden as big as it ever has. Sancho returns the favour for Eric Rebiere.